Leaves, the temperature and rain are falling. Summer has gone and autumn is here. 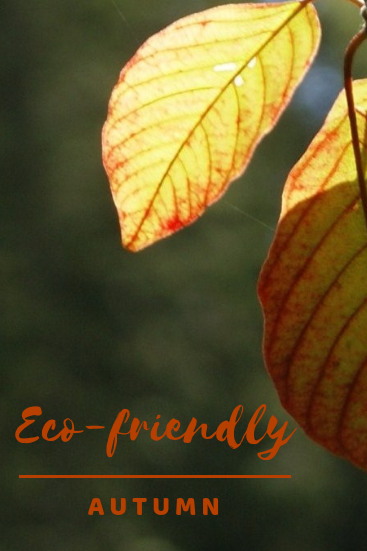 As the season changes read on to find out how you can make your autumn Eco-friendly. 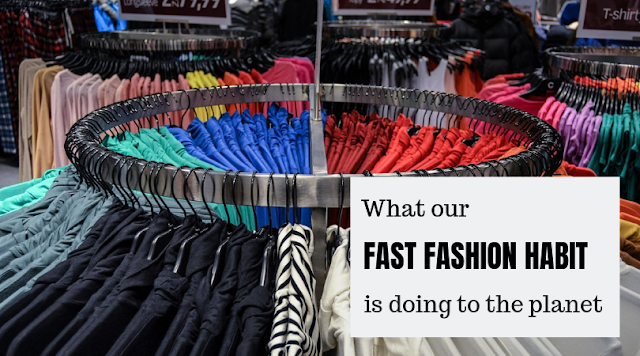 It can be all too easy to buy new clothes for the new season but even sustainable fashion items come with a cost to the environment, especially if you don't actually need any new items. First of all head to your wardrobe and see what you already have. Get out your sewing machine and re-purpose existing clothes into new ones. Make your own clothes - learn to knot, sew or crochet. Get together with a group of friends and have a clothes swap party. If you do need new clothes then buy "new to you" from second hand stores and online. If buying totally new go for quality clothes made from natural materials in a timeless style that will last the test of time. If you have clothes you really don't want and can't give to friends downgrade them to something else such as cleaning cloths. T-Shirt bags or use them in the garden to protect plants. This post has 7 ideas to keep clothes out of landfill. As the temperature falls you'll probably find you want to eat more warming meals so as you swap summer salads for steaming stews do try to cook using as little energy s possible. This post gives you 21 ways to cook efficiently. Choose produce that is in season and locally produced. Eat healthily to help stave off bugs and colds. Keeping your home warm can use large amounts of energy but there are plenty of simple things you can do to reduce your energy use. I covered this in more detail here - 21 ways to reduce your heating bill. 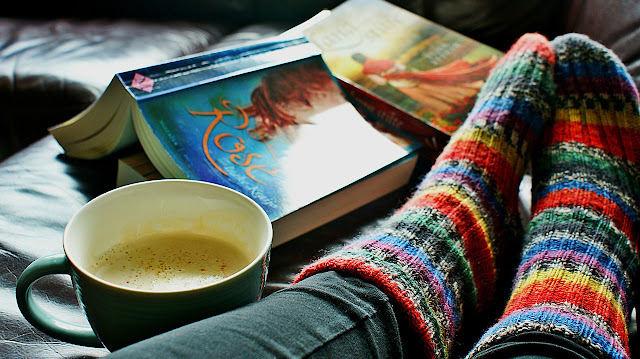 As well as keeping your energy use down there are other things you can do to make your home eco-friendly in autumn. Keep your gutters clear of fallen leaves and debris to prevent potential damp problems. Clean windows to allow the maximum amount of natural light to enter and use the natural cleaning power of vinegar. Fix minor problems around your home before they become major ones - check for loose tiles, damaged window frames, draughty doors etc. Install water butts on down pipes. Get your chimney swept if you plan on having an open fire or using a woodburner. If you have room install an overhead clothes drier to reduce dependence on your tumble drier. 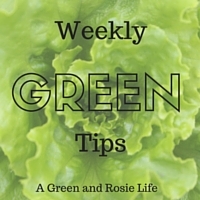 Autumn is the ideal time to prepare a vegetable garden ready for planting in the spring. Plant wildlife attracting plants. How about some of these 7 bee attracting plants or these 7 plants loved by birds. If you are planning to feed the birds provide a variety of food in different locations to help as many species as possible and remember you need to feed them all through the winter and into early spring, too. When heading out to feed the ducks bread do not feed them bread. It's bad for both them and the environment. This post explains why and what else is good to feed them: What to feed the ducks. Make a log pile in a quiet corner of your garden. Rake up leaves and make leaf mulch from them. 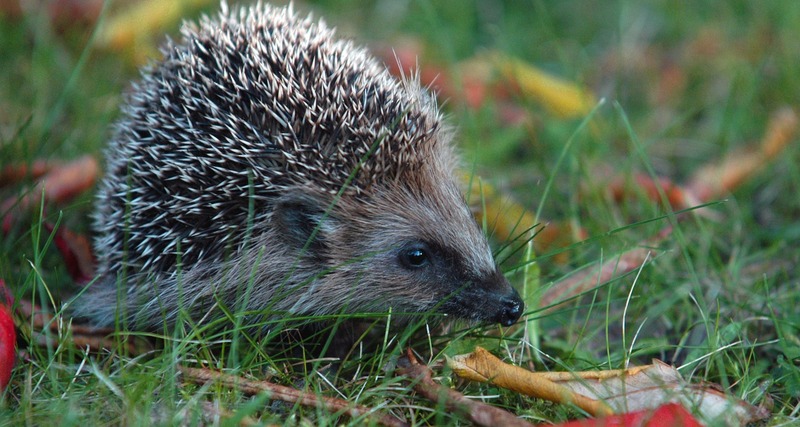 Set up wildlife homes such as bug hotels and hedgehog houses. These are easy to make yourself and a great project for children. If you have children or grandchildren relate any art, crafts, science projects you are doing to autumn so you can help them see the changes in the natural environment. Use autumn's vast array of natural materials for craft projects rather than buying plastic supplies in plastic packaging. At home maybe your child could become lights monitor to help the whole family switch off lights. Just because the weather isn't so nice still spend plenty of time outside. We all need fresh air and nature makes a great playground in all seasons. Have a look at my series of Nature Games for some inspiration. It can be all too easy for Halloween to become a time of excessive plastic thanks to all the Halloween "stuff" manufactures try to get us to buy, from costumes to Trick or Treat paraphernalia and from plastic decorations to plastic packaged sweets. It doesn't need to be so do read this post on how to have a Green Halloween without losing any of the fun. I know Christmas isn't in autumn but use autumn to plan for a more eco-friendly Christmas. Make presents such as preserves, get sewing or use your DIY skills to make gifts. My Green Christmas Pinterest board is a good place to look for inspiration. Seek out eco-friendly holidays such as our holiday home in France - Eco-Gites of Lenault. When out and about take a reusable coffee cup. Join a conservation organisations that runs work days for volunteers to help with countryside maintenance. Oct 21st is Apple Day so search and join in with apple related events near you. 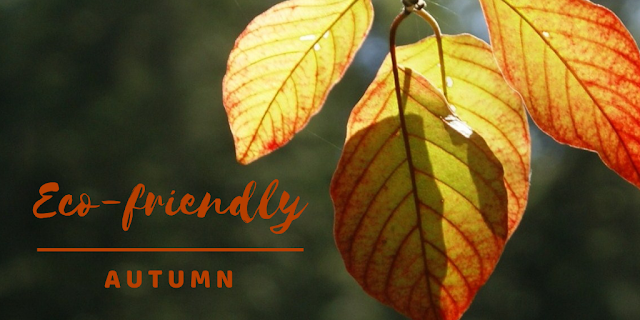 Whether you embrace autumn or dread the shortening days there are plenty of ways to make sure your autumn is still as green as summer's leaves were! Do you have any more ideas on how to have an eco-frienly autumn? This is a post in collaboration with a group of other bloggers, I know, who all write about issues around smallholdings/homesteading, self sufficiency and green/natural living. All the linked up posts below are autumn related so do pop over, have a read and if you leave a comment let them know if was from here that you found their blog. Love the idea of making my son the lights monitor, we are all so guilty of this and it will make him feel so happy he is in charge of something as important as saving energy and the planet! I had never heard of apple day - how fun! We just rescued a bunch of apples falling on the sidewalk in our neighborhood and made apple jelly out of them. I also need to go rake the leaves like you mentioned and make mulch! Great ideas, we are heading into summer here, but many still apply, especially about clothing! Great ideas. I really need to get into repurposing clothes as we have 3 sewing machines in the house!!! also we keep our heating off until November which is a good way to save energy. Really great post! I recently watched a documentary about disposable clothing and was shocked at how harmful it is to the environment! Nice ideas for having Eco friendly autumn, I like all your ideas especially food and cooking as I love to eat my favorite food in all seasons. I love the idea of making autumn more eco. I do follow some of your ideas already but you've given me a few more! I love the idea of clothes swapping. We don’t put our heating on just yet but we have a baby so it may have to go on soon. I miss our nightly hedgehog visits which we used to have in our old house! My youngest always goes around turning the lights off that the teen leaves on. My teen wants to make a hideaway for hedgehogs even though we have never had a hedgehog in our garden yet! I absolutely love this and it’s really encouraged to think more eco friendly. It’s so bad but it’s something I’ve hardly thought about in the past. I love the idea Of using natural resources for crafts. I recently did this with my son, but I’d love to do more nature crafty stuff with him. Great post.